If you are a prospective accountant in North Carolina, you’re lucky: the state boasts around 100 colleges and universities that offer accounting programs at all levels. Some of these are among the best-known in the country in terms of quality and reputation. Schools such as Wake Forest University, the University of North Carolina and North Carolina State University ranked highly in the 2013 Public Accounting Report survey of accounting professors. In 2013, U.S. News listed Duke University as 8th in the country, Wake Forest as 27th and the University of North Carolina as the 30th in its national ranking. What is more, Wake Forest University CPA exam pass rates consistently top nationwide statistics. It is well-known that a degree can only get you so far – but an accounting program is not just a degree. Your whole career may depend on the skills you acquire during your college years, the practical experience you get to add to your CV, and the contacts you make in the business community. Top recruiters such as the Big Four are known to target graduates of the most prestigious accounting schools, so don’t take this decision lightly! When it comes to your accounting school, choose quality over everything else and don’t be afraid of challenge. An AACSB-accredited program with tough entry and assessment criteria is the most likely to prepare you for the CPA exam and for an accounting career. 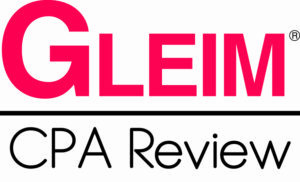 Make sure to check the most recent CPA exam pass rates and graduate employment statistics, as well as student evaluations and national rankings. Highly qualified faculty and a thorough curriculum are also hallmarks of a good accounting program. But classroom teaching is not enough to kick-start your career – you will need to prove to potential employers that you are well-equipped for the challenges of a real-world job. Choose a program that will allow you to gain practical experience through extra-curricular activities, involvement in student organizations and field-related competitions, field study projects, volunteering and internships. A school that has strong links with the business community and that is visited by the top recruiters in accounting will also give you a competitive edge. It takes hard work and years of study to become a successful accountant, but if your eyes are set on the world of business and finance, you’ll find that there are few careers more rewarding than this. You will need a wide range of skills in business, economics and finance, and a minimum of a four-year degree in order to work in entry-level accounting positions. However, if you wish to become a Certified Public Accountant, the journey doesn’t end here. You will have to complete 150 college credits, usually taken over five years. It is more and more common to complete a Master’s degree in order to fulfill this requirement. You will also have to pass the challenging Uniform CPA Examination in order to become a CPA, and most states will also require you to complete an ethics examination. 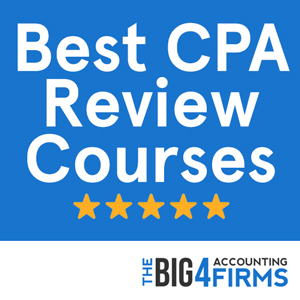 Finally, you cannot work as a CPA before you have gained the amount of accounting experience required by your state’s accountancy board – usually one or two years full-time under the supervision of a CPA. North Carolina does not require CPA exam candidates to complete 150 credits – a Bachelor’s degree with an accounting concentration is sufficient to sit for the exam. However, in order to apply for a CPA license, candidates must complete 150 semester hours including a concentration in accounting and 24 hours of coursework in areas related to business, finance and economics. Candidates must pass the Uniform CPA Examination before they can apply for licensure and they also need to complete an eight-hour course in accountancy statutes, rules and professional ethics within one year prior to applying for certification. Finally, CPA license applicants need to hold one year of experience in accounting under the supervision of a licensed CPA, or four years of general accounting experience, accounting teaching or self-employed accounting experience. North Carolina rises above average with a mean annual salary for accountants and auditors of $68,970 in 2013. Highly developed areas within the state boast even higher pay levels: for example, the mean accounting salary in the Charlotte-Rock Hill area rises above $74,000, while accountants based in the Durham area earn over $73,000 on average. There are also pay variations between professionals in North Carolina: while the lowest accounting salaries start at a $40,000 average, the highest paid percentile of accountants earns over $105,000 on average and even over $116,000 in thriving business areas. There is great variety and plenty of opportunities for success in accounting, especially in the dynamic business communities of North Carolina. Ranked 7th in the country among undergraduate business programs by U.S. News, the Kenan-Flagler School of Business at the University of North Carolina at Chapel Hill offers a prestigious accounting education with plenty of experiential learning opportunities. Undergraduate students pursuing a Bachelor of Science in Business Administration can choose between 25 accounting and finance courses in order to specialize in accounting. Admission is competitive and the coursework also includes management and ethics alongside finance classes. At the postgraduate level, the UNC Master of Accounting program offers a comprehensive curriculum and plenty of hands-on experience and networking opportunities. With a 98% graduate employment rate, the Master’s program was ranked 4th in the country among medium-sized accounting schools by the 2013 PAR survey. The school also offers a doctoral program in accounting, listed as the 7th nationwide by the 2013 PAR survey. Moreover, this prestigious business school benefits from AACSB accreditation. Established in 1969, the AACSB-accredited Wake Forest University School of Business ranks consistently high in terms of CPA exam pass rates, graduate employment and national rankings. The 2013 Public Accounting Report survey listed Wake Forest as the 17th and 19th best in the country for its undergraduate and postgraduate accounting programs respectively. Also listed in the U.S. News top 30 nationwide, the school has a reputation for quality education and research. The undergraduate accounting program at Wake Forest offers a top-quality education in accounting and business with a 97% graduate placement rate. At the postgraduate level, the prestigious Master in Accounting program offers a range of specializations including a unique Financial Transaction Services option. In 2013, 98% of Wake Forest’s Master in Accounting graduates secured employment upon graduation. The Wake Forest School of Business also offers a combined five-year program that allows students to earn both a Bachelor’s and a Master’s degree in accounting. Based on both class work and research, this comprehensive and nationally recognized program prepares students for success in a wide range of accounting careers.